As we’re still in the latter half of February, it seemed only right to look at the folklore of violets! 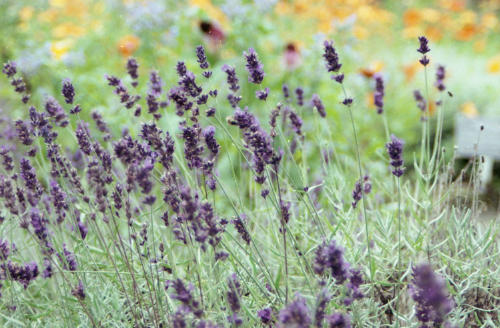 This pretty little purple plant is the birth flower for February. And it’s been forever linked with the month through the common ‘Roses are red, violets are blue’ Valentine’s phrase. Also known as wild pansy, call me to you, kiss me at the garden gate (among many, many others), violets have some very sweet stories and superstitions behind them. Unlike the poisonous plants I usually feature, these plants are a largely positive woodland fixture. So come with me and let’s explore the folklore of violets! As ever, hit play below if you’d rather listen. Or scroll past the player and let’s get into the post. According to Roman myth, Venus got into an argument with her son, Cupid. She demanded to know who he found more beautiful – herself, or a group of girls. We won’t even go into how inappropriate that is. Cupid chose the girls and Venus apparently grew so angry that she beat the girls until they were blue. They turned into violets afterwards. This connection with the goddess of love made them a regular fixture in love potions. Yet they’re also associated with modesty. When Apollo pursued one of Diana’s nymph friends, Diana turned her into a violet to protect her virtue. In Greek mythology, Persephone was apparently picking violets when Hades kidnapped her to live in the underworld. Violets were also the emblem of Athens. In legend, the city’s founder, Ion, met water nymphs on the way to Attica. They presented him with violets to show their favour. Violets apparently sprang up wherever Orpheus laid his lyre (Nahmad 1994: 21). Elsewhere, Zeus fell in love with a nymph, Io. Fearing his wife Hera’s wrath, he turned Io into a white heifer. Naturally Io wasn’t overly pleased with this turn of events and she cried at having to eat coarse grass. Zeus turned her tears into violets for her to eat. Some think this is why the Athenians favoured the violet so much. The Romans and Greeks also associated these beautiful flowers with funerals. They often covered children’s graves since they represented modesty. Or you’d find the flowers scattered near tombs. Niall Mac Coitir sees a Biblical connection since the flowers “were said to have sprung from tears shed by Adam after his banishment from the Garden of Eden” (2015: 219). 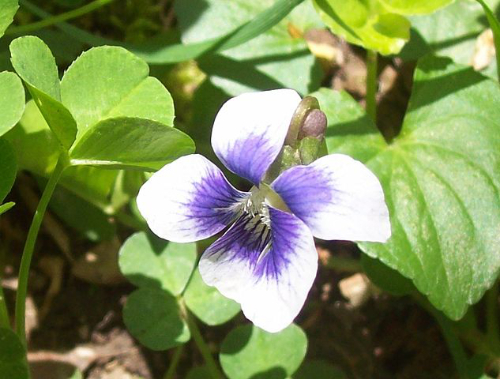 Some also believe violets bloomed when the angel Gabriel told Mary she was pregnant. At the point when she said “Behold, I am the handmaid of the Lord”, the violet blossomed. Some still call it Our Lady’s Modesty as a result. The violet often represents Mary’s humility in Christian art. Another tale recalls the violet was white up until the crucifixion. At this point, they turned purple to show their support for Mary in her mourning. In the Middle Ages, people believed violets stood upright until the crucifixion, but they bowed their heads in the shadow of the cross. 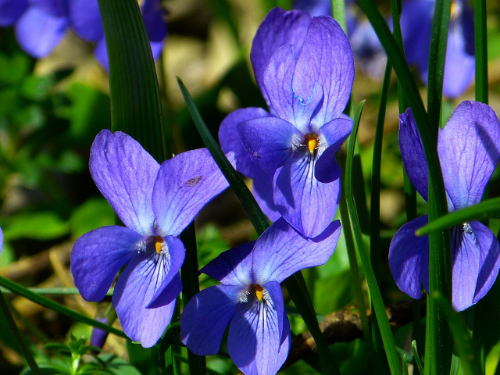 Niall Mac Coitir notes some think violets shyly turned away when the infant Jesus passed them, which helps explain the phrase ‘shrinking violet’ (2015: 219). One of the many nicknames for violets is ‘heart’s ease’. Its heart-shaped leaves indicated that it should be used to treat heart disease. This comes from the same branch of medicine that believed walnuts could cure brain-related issues because they look like brains. 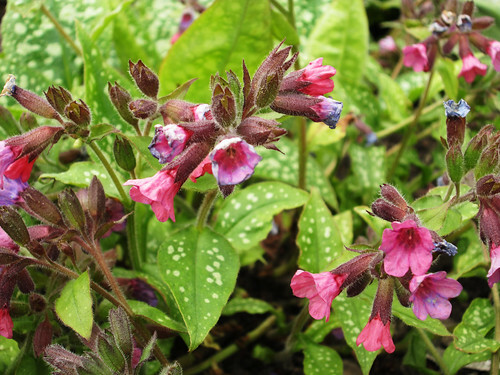 Or lungwort can cure lung problems because the leaves look like diseased lungs. Yet violets also appeared as an aphrodisiac, possibly due to the Venus connection. Steeping violet flowers in hot water made a form of tea that apparently helped with heartbreak. It contains salicylic acid so it does make a decent painkiller. Ancient Britons also used it in beauty lotions and salves. They’re used in love magic, often worn as an amulet to increase your love chances. Witchipedia recommends combining violets with lavender for a bumper effect. Napoleon took a special interest in the violet and gave them to his wife, Josephine. They became his personal emblem and while on Elba in exile, he told his friends he’d return when the violets bloomed in the spring. They used the violet as a means of determining who knew about the conspiracy. If you were asked “Do you like violets?” and you said yes or no, you revealed that you knew nothing of his plot to return. If you said “Eh bien”, it meant you were loyal to Napoleon’s cause. When he re-entered Paris in 1815, admirers threw violets across his path. Margaret Baker explains that “[a]fter Waterloo the wearing of violets was deemed seditious” (2011: 155). If you dream of violets, it means you’ll soon receive a fortune. Some think it means you’ll marry someone younger than you. And you should carry violets to ward off evil spirits. Cora Linn Daniels and C. M. Stevans note that it was a custom in rural Germany to put violet flowers on the bridal bed and the cradle of baby girls. In Thuringia, it repelled the dark arts (2003 : 859). Mac Coitir points out that both the ancient Greeks and Gauls used the flowers on the bridal bed because it represented virginity (2015: 219). Give them to a woman to give her good luck. Wear a violet wreath around your head to avoid dizziness. But if violets bloom during the autumn, an epidemic will follow. Blue violets mean “I’ll always be true”. White violets mean you want to “take a chance on happiness”. Yellow violets mean modesty. In floriography, they mean faithfulness. Plantlife.org note the weird legend “that you can only smell violet flowers once”. It’s not true, but ionine, a compound in its scent, can deaden smell receptors. It turns off the ability to smell the flower for short periods of time. Romans thought drinking wine made from violet blossoms would stop them getting drunk. But they wore wreaths of violet flowers the morning after to alleviate hangovers. These shy little flowers, alongside snowdrops, make a wonderful addition to British woodlands. If you’d like to grow your own violets, The Guardian has a helpful guide. Do you know any other violet folklore? Let me know below! Baker, Margaret (2011), Discovering the Folklore of Plants, 3rd ed. Oxford: Shire Classics (aff link). Daniels, Cora Linn and C. M. Stevans (eds) (2003 ), Encyclopaedia of Superstitions, Folklore, and the Occult Sciences of the World: Volume 2, Honolulu: University Press of the Pacific. Mac Coitir, Niall (2015), Ireland’s Wild Plants – Myths, Legends & Folklore, Cork: Collins Press. Nahmad, Claire (1994), Garden Spells: The Magic of Herbs, Trees and Flowers, London: Pavilion Books (aff link).